The number of English language learners in the United States is growing rapidly, including in many states that have not previously had large immigrant populations. As teachers try to respond to the needs of these students, here are a few basic best practices that might help. We have found that consistently using these practices makes our lessons more efficient and effective. We also feel it is important to include a few “worst” practices in the hope that they will not be repeated! Do model for students what they are expected to do or produce, especially for new skills or activities, by explaining and demonstrating the learning actions, sharing your thinking processes aloud, and showing good teacher and student work samples. Modeling promotes learning and motivation, as well as increasing student self-confidence—they will have a stronger belief that they can accomplish the learning task if they follow steps that were demonstrated. Don’t just tell students what to do and expect them to do it. Do speak slowly and clearly, and provide students with enough time to formulate their responses, whether in speaking or in writing. Remember, they are thinking and producing in two or more languages. After asking a question, wait for a few seconds before calling on someone to respond. This “wait time” provides all students with an opportunity to think and process, and gives especially ELLs a needed period to formulate a response. Don’t speak too fast, and if a student tells you they didn’t understand what you said, never, ever repeat the same thing in a louder voice. Do use visuals, sketches, gestures, intonation, and other non-verbal cues to make both language and content more accessible to students. Teaching with visual representations of concepts can be hugely helpful to ELLs. Don’t stand in front of the class and lecture, or rely on a textbook as your only visual aid. Don’t act surprised if students are lost when you haven’t clearly written and explained step-by-step directions. Do regularly check that students are understanding the lesson. After an explanation or lesson, a teacher could say, “Please put thumbs up, thumbs down, or sideways to let me know if this is clear, and it’s perfectly fine if you don’t understand or are unsure—I just need to know.” This last phrase is essential if you want students to respond honestly. Teachers can also have students quickly answer on a Post-it note that they place on their desks. The teacher can then quickly circulate to check responses. When teachers regularly check for understanding in the classroom, students become increasingly aware of monitoring their own understanding, which serves as a model of good study skills. It also helps ensure that students are learning, thinking, understanding, comprehending, and processing at high levels. Don’t simply ask, “Are there any questions?” This is not an effective way to gauge what all your students are thinking. Waiting until the end of class to see what people write in their learning log is not going to provide timely feedback. Also, don’t assume that students are understanding because they are smiling and nodding their heads—sometimes they’re just being polite. Do encourage students to continue building their literacy skills in their home language, also known as L1. Research has found that learning to read in the home language promotes reading achievement in the second language as “transfer” occurs. This transfer may include phonological awareness, comprehension skills, and background knowledge. While the research on transfer of L1 skills to L2 cannot be denied, it doesn’t mean that we should not encourage the use of English in class and outside of the classroom. Don’t “ban” students from using their native language in the classroom. 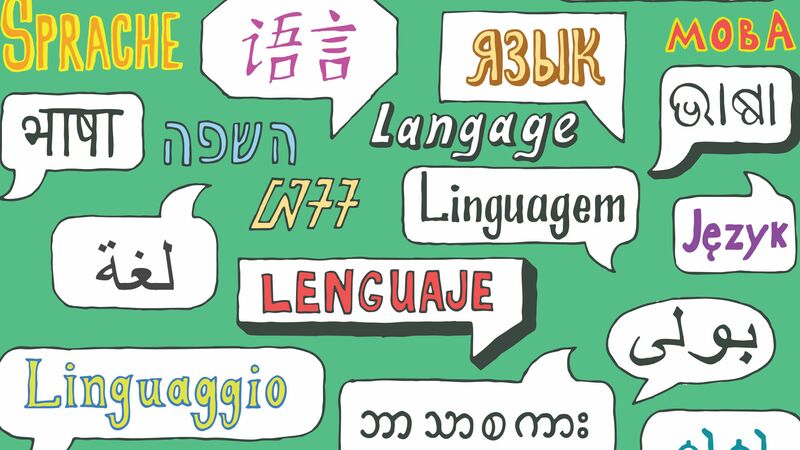 Forbidding students to use their primary languages does not promote a positive learning environment where students feel safe to take risks and make mistakes. This practice can be harmful to the relationships between teachers and students, especially if teachers act more like language police than language coaches. This is certainly not a complete guide—these are just a few of the most basic practices to keep in mind when teaching English language learners (or, for that matter, probably any second language learner). What are more do’s and don’ts that you would add to the list?